Great music, great friends, a good time was had by all! Thanks for your support. 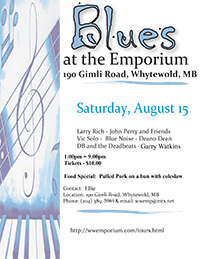 Thanks to all the talented musicians who made the Emporium Blues Fest a success. Thanks to the weather for one day of sunshine!